It doesn't matter if you run a startup or an established business with many years of success under your belt. Rejection is never easy. It is how you deal with it, learn and grow that matters. One of the easier types rejection to face is from someone who you have never worked with before. This isn't really a loss, it's just not a gain. Of course, it would be great to bring on every potential client with whom you have a conversation, but that is a little unrealistic. Focus on the yes's and signed deals you get, rather than fixating on the nos. A type of rejection that is a little harder to stomach is when you get a referral but the client decides not to use your product/service at the end of the conversation. You know they have a need but you still couldn't close. Reflecting and learning after the interaction will help you overcome similar challenges during future conversations with potential new clients. The hardest and most emotionally draining type of rejection in business is when a longstanding client decides to cut the relationship. Sometimes there was nothing you could have done to save the relationship, but if you made a mistake, ensure it is not repeated with your remaining clients. 1. My partner and I started our firm in 2011, and this past year we lost a client because their feelings were hurt when I was giving feedback. In this scenario, it was the way I delivered the feedback that led to the rejection. In retrospect, I should have been aware that if I am giving a client harsher feedback, I should be more empathetic and deliver it in person instead of doing it over the phone. It still hurts when I think about it. It is especially difficult when you truly care and invest so much time into the client and their business. I know I had the best intentions, but it was not viewed the same way on my client's side. 2. I was referred to a big-time investor at a private equity firm many years ago, but I was unprepared for the questions he threw at me and the specifics he wanted. In retrospect, I realized that PE firms are looking for how you can directly contribute to the success of the company they are investing in and your process to get there. You must have your pitch down pat and show them you can help, consult and, most importantly, drive and directly contribute to their goals for success. It is not easy to work with those types of companies, but the reward when you are successful is the best feeling. My first call was a miss, but reflecting and perfecting my position helped with future opportunities. We now work with quite a few investment companies helping them build up businesses they back. Take the time to reflect and understand. Taking time to reflect is important because that is what leads to improvement. Reflect on the situation when you have a clear head and are in a calmer state, which is usually the day after the rejection. When you are first rejected, you are probably a little frantic and it is hard to think clearly. If you can relax, take a step back and reflect. After a little bit of time, you will be less emotional and better able to deal with the situation productively. Sometimes you can even come up with a great plan to turn things around. Focus on being proactive, not reactive, to move forward. Seek advice from a mentor. Most, if not all, business leaders have dealt with rejection at some point in time. So, seek advice from someone you look up to and trust, whether they are a LinkedIn connection or from a networking group. After your personal reflection, go over the situation with them and pick their brain on how they would have gone about the situation. This might give you a fresh perspective and will help with your personal and professional growth. Being vulnerable and able to discuss your challenges with other business leaders is not looked down upon; in fact, it shows that you are a motivated individual who is mature enough to realize when you have made a mistake and would like constructive feedback to grow. Grow from it so the mistake is not repeated. After the realization kicks in and you know how to better handle this type of situation in the future, share your knowledge with your team. After I experienced a loss, I reflected, got advice and then shared my findings. This was a big learning lesson for me and for my team because the best way to learn is from real-life experiences. My team really appreciated the fact that I shared the situation with them and they learned a lot from the outcome and from the alternative ways I could have dealt with the situation for a better outcome. Although my big losses hit me hard, I believe the time I spent learning from those situations got me to where I am today. The main lesson on loss that I tell my team is that it will happen. I will never be disappointed as long as they can reflect, learn and grow from those situations. Today, we need the best and the brightest. That young talent...those who question the way things are done. Those who create faster processes and are so technologically advanced it makes us question what we actually know…the Millennial. Ensure Title/Responsibility Growth is to be expected for hard work and dedication and that they will not be in the same role 1-2 years down the line. Talk about how others in the role have grown and where they are today in the company. Company Culture is one of those things that you either have or don’t. If you don’t, work on it…right now! Everyone wants to work for the company that has crazy wall colors, employee outings, open door policy (Executives can be easily communicated with), free snacks/coffee, employee gamification and more. Millennials need to feel like they are joining a Google. Work/Life Balance & Flexibility…don’t worry, Millennials are hard workers. Sometimes they work so hard, they really just need some flexibility to feel they still have a social life. They need to feel like they can have a normal life outside of work. Telecommuting on certain days of the week for jobs such as design, development and the like are very normal. Remember, this generation was taught to “work to live” not “live to work”. Compensation is so important! Some companies are really trying to low ball salaries and it is getting harder and harder for them to hire the best talent. It is creating rotating door environments, especially in cold call/sales environments. 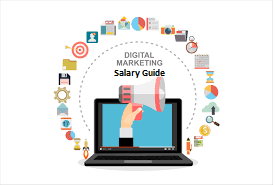 If you want to give a lower salary, that is fine, just make sure the upside, bonus or commission opportunity allows for the individual to make a normal wage. Out of college $26,000 to $35,000 base salaries are normal for sales roles if the commission can allow them to double their income. Within Marketing, college grads are making $35,000 to $40,000 + bonus potential. Within Engineering, college grads are getting hired between $65,000 to $80,000. Every industry and role has their pay scale, do not fall below the norm. Given 3-5 years of experience, these individuals are making $20K-$50K per year from the starting wage. Often times Millenials will need to jump jobs in order to get the bump in salary. The goal is to keep the talent happy and on board. Typical 2%-4% yearly raises are not working to retain talent. Watch out the rising talent and compensate them, either with a commission or bonus structure. They deserve to be well compensated or else they will jump ship! The Sell: You can have all the right things and offer amazing benefits, but if you don’t have someone really selling the opportunity to come and work for you, you wont be really getting the best talent. Those who are doing such a good job and are well taken care of, that they don’t even know about your opportunity since they are not actively on the job hunt. It is CRUCIAL to have an internal HR team dedicated to talent acquisition and well connected recruiting firm to constantly go out and find the best profiles and talent and actively pitch them on what you have to offer. How your company is presented and spoken about is very important – pay attention to your tone of voice, how excited and motivated you are to work for your company and share your opportunity in way that is intriguing. Never lie – but do not undersell and always put on you’re Sales hat, because recruiting is a sales job. If you can’t sell the opportunity of working at your company, you cannot be on the phone actively recruiting the best and brightest talent. Make sure your internal recruiter or HR Rep is the right person to be representing your company. You only get one chance to entice a potential candidate about a particular role... make that presentation count! Daniel Miller was interviewed by By Alison DeNisco Rayome from Tech Republic. Check out her article below. Demand for data scientists continues to grow, and the job market is hot for those with the right skillset. Data science job candidates can expect a variety of technical questions and exercises that depend upon the position and the company. But outside of tech know-how, adequately describing your skills with communication, teamwork, and creative thinking is key. "To assess if a candidate can be successful as a data scientist, I'm looking for a few things: baseline knowledge of the fundamentals, a capacity to think creatively and scientifically about real-world problems, exceptional communication about highly technical topics, and constant curiosity," said Kevin Safford, senior director of engineering at Umbel. Demonstrating that you have a strong understanding of the business at hand and how data can be used to reach business goals will also set you apart. "In addition to many technical questions—knowing your algorithms, knowing your math—a great data scientist must know the business and be able to bring strong ideas to the table," said Rick Saporta, head of data science at Vydia. "When hiring, I would rather have one creative data scientist who has a strong understanding of our business, than a whole team of machine learning experts who will be in a constant 'R&D' mode." Here are 10 questions that you might be asked during an interview for a data science job, from a number of people currently working in the field. Describe a personal or professional project in detail. Tell me about a time you had to work with someone who is not data-savvy on a data science project. Tell me about a time you had to work with very messy data. Tell me about the most complicated data project you have worked on, and what you were able to do in order to achieve success. What are your favorite data science tools and techniques? How do you generate results when you don't have enough data or your data is corrupt? Tell me where you think data science is heading—both in the short term, and in the long term. Can you outline your process for diving into data and sharing findings with the broader team? What is the size of the biggest dataset you have built models on? Tell me about the most unique insight derived from a data set that you compiled. What to do in the first 30, 60, 90 days with a new Employee. The highest turnover time is in the first two months of hiring an employee. The first couple months with a new employee are key in determining their long term success with a company. You want to make sure you are there for your new hire as much as possible, which is why the best time to hire a new employee is during a slow time where you can really take the time to mentor and train them. It is hard enough coming to a new company, learning new systems, getting acquainted with new people and learning the company's way of doing things. This becomes so much worse if the new employee is thrown into the weeds of things without a hands-on trainer or manager really showing them the ropes the first couple months. Have weekly meetings to see how they are doing. Measure progress and set expectations for them to work up to each week. If they do something wrong, come to them right away and address the issue so it does not happen again. Remember new company, new way of doing things, you can not reprimand, if the employee did not know the correct way of doing something or even worse if they make a mistake and nothing is said. Get them emerged with other employees; have a group lunch, happy hours, or something that they can do with the team the first month. This creates a good culture and gets them a little more comfortable with the current team. Praise them for performance! If they think outside the box, make a great suggestion, stay after hours...let them know you notice these things. This goes a long way and they will want to go above and beyond again. Everyone likes to be noticed for the great things they do! Daniel Miller was interviewed by Adam C. Uzialko at Business News Daily. The manufacturing industry is undergoing a dramatic shift centered around new technologies that offer the promise of greater efficiency, speed and higher quality. A central component of this shift toward Industry 4.0 is the internet of things (IoT), which serves as the frontline of data capture in the modern factory. What's more, this datacentric focus extends well beyond the shop floor; the entire supply chain is coming under the watchful eye of IoT-enabled devices. IoT broadly refers to a network of devices and sensors capable of capturing and communicating data with one another. The sensors in the system enable the collection of granular data, for example, from assets like machinery – energy consumption, heat levels, uptime/downtime – or the tracking of goods in transit. "When it comes to supply and production, having internet-enabled production lines provides a direct line of information about the current supply and demand of any given product," said Robyn Edgar of the mobile software developer Hifyre. "It allows manufacturers to fine-tune their process by tapping into data-driven strategies." Oftentimes, this data is made actionable by artificial intelligence. Machine learning algorithms comb through the collected data for anomalies to flag and returns notifications and recommendations to human decision-makers. Organization-wide data can also be transmitted to any mixed reality devices employees might be using, whether on the factory floor or in the warehouses. The data capture enabled by IoT primarily drives greater overall efficiency by helping to optimize each phase of the production process. Whether it's general day-to-day operations, the health of machinery, or reducing energy consumption, information collected by IoT devices supports better decision-making and quick alerts when something is going wrong. "There are certain limitations on the production capability of every manufacturing unit, but industries are continuously looking for growth and efficiency, which can be achieved by the implementation of IoT in the manufacturing facility," said Pankaj Kumar Raushan, lead analyst of smart manufacturing at MarketsandMarkets. "IoT helps in collecting all the relevant data from the very core of the machines, which further can be analyzed to find any gray areas in the system or any scope of improvement." A major benefit of the bird's-eye view offered by IoT is preventative or predictive maintenance. For instance, when a machine uses excessive energy, overheats or begins severely vibrating, management can see this data and perform maintenance before a critical failure occurs. IoT implementation also promises smart energy management. This type of system can identify waste and opportunities for improvement, reducing energy expenses and boosting efficiency in the production process. "IoT can be implemented within the actual manufacturing equipment to create more efficient processes, [and] it will allow downloading updates to upgrade machinery on demand," said Daniel Miller, a tech and manufacturing recruiting specialist at Empowered Staffing. "We will see a realm of tech production that will be more efficient then we have ever seen before. [IoT] will create many wins for a multitude of manufacturing, construction, farming and technology sectors." IoT doesn't end at the manufacturing plant. The network of data capture and analysis can span the entire supply chain, from resource procurement through product refinement and tracking to notifying end users when a product needs maintenance or replacement. Samantha Radocchia, co-founder and CMO of Chronicled, envisions a unified system where these oft-disparate parts of the process come together leveraging IoT and blockchain. One project Chronicled is working on with Responsible Gold aims to track gold production "from the mine to the vault." "You can envision a world with more automated supply chain processes, using many sensors working together to trigger these events," Radocchia said. "For the first step, raw gold from the mine is placed in the container, which is sealed with a microchip. At that point, it's registered with a mobile device … and then at every point where it changes hand, every sensor is another signature." Using blockchain enables more than just simple tracking, Radocchia said. Automatic triggers include transfer of custody and even release of payments in escrow accounts once products reach their intended destination. When that destination is the final consumer, whether a business or an individual, IoT still has a role to play. For consumable products, companies can alert their customers when maintenance or replacement is needed, or even monitor for anomalies or problems. "In the era of industrial IoT, exchange of information between supply chain and production is in real time," Kumar Raushan said. "For example … integration [of asset tracking] with IoT technologies will help in gathering a deeper level of information and probably alert the operator of areas of concern. Integrating IoT with supply chain also helps in accurately determining the exact location and condition of the product, which helps in precise production planning, Kumar Raushan said. However, integration is only implemented in bits and pieces at this point, since it involves lots of infrastructure changes and cost. The cost of true, full scale IoT implementation is a major barrier to mass adoption. While companies are already starting to implement IoT systems, many are incomplete and will take some time to grow to the level of a truly comprehensive system. Still, according to the International Data Corporation (IDC), total IoT investment topped $800 billion in 2017, and the research organization anticipates growth eclipsing $1.4 trillion by 2021. However, as is often the case with emerging technologies, the cost of sensors is falling over time, making IoT a more accessible technology. Another major barrier are "data silos." In short, this means a lack of interoperability, either due to technical challenges or an unwillingness on the part of companies to work together. Radocchia said combining IoT with blockchain can change this, without the need for companies to expose their proprietary information to one another. "The challenge is most of that data is siloed," she said. "There's one sensor tracking packages, one tracking temperature, one verifying packages entering the warehouse; none of these devices are really able to talk to each other unless there's a direct integration through API. Without that central backbone, it's a challenge to see the world and supply chains work as efficiently as they could." And finally, there's the elephant in the room: security. The IoT, by its very nature, means more devices connected to a network, offering potential attackers more entry points and increasing attack vectors. There's a lot manufacturers of IoT devices can do to improve the security situation, but maintaining best practices and establishing firm policies around security remains the responsibility of the company implementing the system.